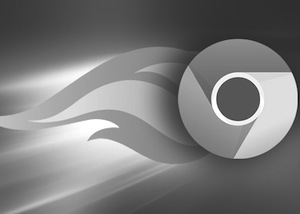 When Chrome came out, it was the speediest web browser around. Switching from Firefox felt like moving from a horse cart to a Ferrari. That said, over time Mozilla has managed quite well to bridge that gap. Firefox is almost as fast as Chrome and so are other browsers. But, thanks to the sheer amount of features that Chrome offers, many people still stick with Chrome even though it tends to bloat at times. From my personal experience, I use Chrome on both Windows and Linux. And yes, it tends to slow down at times. However, there's nothing wrong with the browser here. The browser is great, the only problem is that it cannot handle too many things at once and hence it tends to slow down, especially on old computers. Thankfully, though, there are some quick solutions on how to avoid slowing down your Chrome browser and breezily browse through your favorite online pages. One of my biggest problems is that I have too many tabs open. When I'm working, you'll find me with 20 tabs open at once when suddenly my browser slows down to such a point that I get frustrated. After Googling a while, I came across a simple solution for tab-based bloating: OneTab extension. Once installed, this simple extension will help you free up your memory by as much as 95%. Yep, that's right. This extension closes all the unnecessary tabs and clubs them together in a single tab, thus freeing a lot of your memory. You can then access all your closed tabs from one single page, manage them, and even reorder them. Alternatively, you can also use other tab management extensions like TooManyTabs that will help you manage tab overload. Earlier, I used to like 10 to 12 extensions installed on my Chrome. Ever since it started to slow down, I experimented with uninstalling add-ons one by one. As I uninstalled a few, my browser's performance increased quite a lot. To put it simply, only install the extensions you need. Moreover, it is always advisable to check Chrome's task manager whether there are any processes that consume memory. If you'd tried out any of the experimental features in about:flags and are experiencing a slowdown, it's time to disable them. Simply go to about:flags and disable the unwanted features. In fact, if you're experiencing a slowdown, it is best to disable all the features. Once you're done, simply relaunch the browser. Go to Chrome Settings -> Advanced -> and check the option that says Continue running background apps when Google Chrome is closed. This will let Chrome run in the background when it's closed thus speeding up your start up time. If you're experiencing overall slowdown on your desktop after enabling this feature, it is best to disable it. I have preferred Chrome for a long time while using windows 7 and with the switch to windows 8, I have been using Chrome more. This new update has made chrome definitely speedy and better performance-wise and I hope chrome extensions also get an update. I have recently come across a great article to help developers in creating extensions and it is a very simple process and easy process. An other great add-on for Chrome/Chromium is The Great Suspender. It will suspend the chosen tabs and so RAM will be freed.